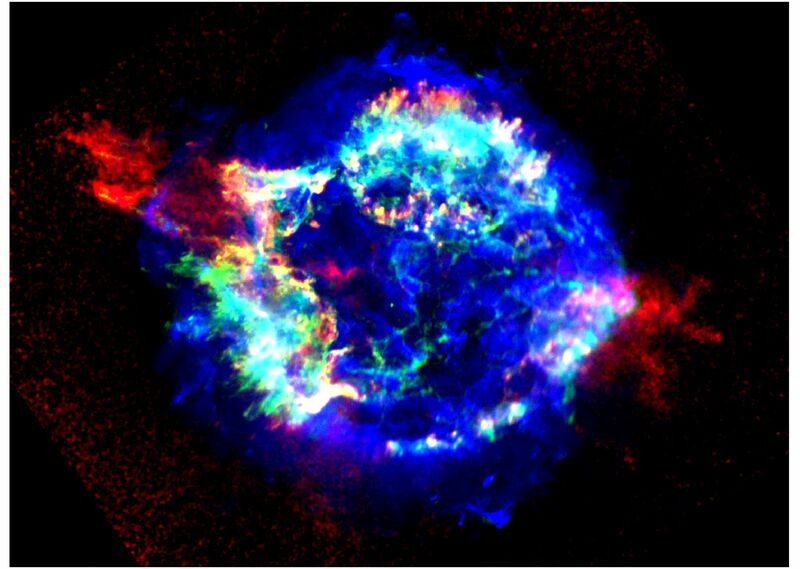 Core collapse supernovae and many gamma-ray bursts explode in a medium which was structured by the massive and energetic pre-supernova outflows of their predecessors, e.g., Wolf-Rayet stars or Red Supergiants. How does the late stellar evolution affect the circumstellar medium structure? How is matter expelled in the explosion interacting with this circumstellar matter? And how does this affect the observable remnant or afterglow evolution? These questions are not yet well explored, but trigger an increasing interest in the community. This meeting brings together experts on stellar evolution, circumstellar medium, young supernova remnants, and gamma-ray burst afterglows, to foster productive communication amongst the theorists and observers in these fields. Revista Mexicana de Astronomia y Astrofisica Serie de Conferenias. S.-C. Yoon "pre-GRB evolution of massive stars"
A.-J. van Marle "Models for the CSM of long Gamma-Ray Burst Progenitor Candidates"
Y.-H. Chu "CSM around late stages of stellar evolution"
R. Humphreys "The Circumstellar Environments of the Cool Hypergiants: Implications for the Mass Loss Mechanism"
Estela Reynoso "Radio observations of SNR environments"
P. Podsiadlowski "Binary progenitors "
M. Corcoran "Eta Car X-rays"
R. A. Chevalier "Circumstellar interaction around Type Ib/c supernovae and the GRB connection"
C. Fransson: "CS interaction for Type II SNe"
V. Dwarkadas "SN interaction with stellar winds and bubbles." S. Immler "CSM Environments of Supernovae"
J. Hoffman "Polarized Line Profiles as Diagnostics of Circumstellar Geometry in Type IIn Supernovae"
S. Van Dyk "circumstellar environments of core-collapse supernovae"
A. Soderberg "Type Ib/c radio observations"
R. Fesen "Cas A/optical observations"
J. Rho "Cas A/infrared observations"
J. Vink "Cas A/44Ti, hard X ray emission"
B. Perez "Progenitor Stars and CSM of SNe in the Range 23-33 Mo and Their Relation with SNR Cas A"
S. Park "Xray observations of SNR with CSM interaction(G292, 1987A)"
J. Granot " Theory of Afterglows"
M. A. Aloy "Relativistic jets in GRBs"
A. J. Castro-Tirado "Prompt emission"
P. Natarajan "High-z redshift GRBs"
T. Abel "Pop III stars"
M. DellaValle "The SN-long duration GRB connection"
The registration will start on Monday the 4th of September at 18:00 at the Conference Hotel and will continue on Tuesday the 5th of September from 9:00 at the conference room. Use cash for the registration fee. The fee is not defined yet. Two Hotels side by side have been allocated for the Conference. The main Hotel (headquaters) of the conference is Hotel Mision Santa Isabel. Centrally located on Blvd. Costero & Castillo, the hotel is hard to miss, just before the bridge on Boulevard Costero. See below for driving instructions and a map here (map1 here) (map2 here). The second one is Hotel Cortez. Check in will start on Monday 4th at 1:00 PM at the front desk. The cost of the room at Hotel Mision Santa Isabel will be 49 USD/room/day. The rooms at Hotel Cortez are more expensive (not available yet). There will be a wellcome reception on Monday the 4th of September at 20:00 in the Conference Hotel Mision Santa Isabel. Known as the "Cinderella of the Pacific," Ensenada is located 60 miles south of the international border, a 90-minute drive from San Diego. A warm Mediterranean climate, friendly atmosphere and accessibility by land and sea have made Ensenada a favorite tourist destination for decades. Nestled on the shore of Bahia de Todos Santos, it is Mexico's second most visited port-of-call for major cruise lines and pleasure boats. The modern toll highway (Mexico 1-D) curving along the coastline from Tijuana to Ensenada is noted for its breathtaking ocean vistas and viewpoint rest stops. The third largest city in the State of Baja California, Ensenada is renowned for its fishing, seafood, canning and winemaking industries as well as its excellent restaurants, wide variety of accommodations, and ample array of shops featuring everything from Indian crafts to Mexican arts and European imports. More than 90 percent of Mexico's wines are produced in Ensenada and its surrounding regions. The climate, warm summers and mild winters, sunny days and cool nights makes it the perfect setting to produce wine. The internationally recognized wine makers produce a number of different types and styles of wines. You can use either USD or Mexican Pesos (1 USD= 10.5 pesos) in your trip. Dollars are acepted in all the services, bussines, restaurants ...etc. Do not bring EUROs. Spanish is the official language in Mexico. However, since Tijuana and Ensenada is a turistic area, English is spoken quite well. You must flight either to San Diego or to Tijuana. 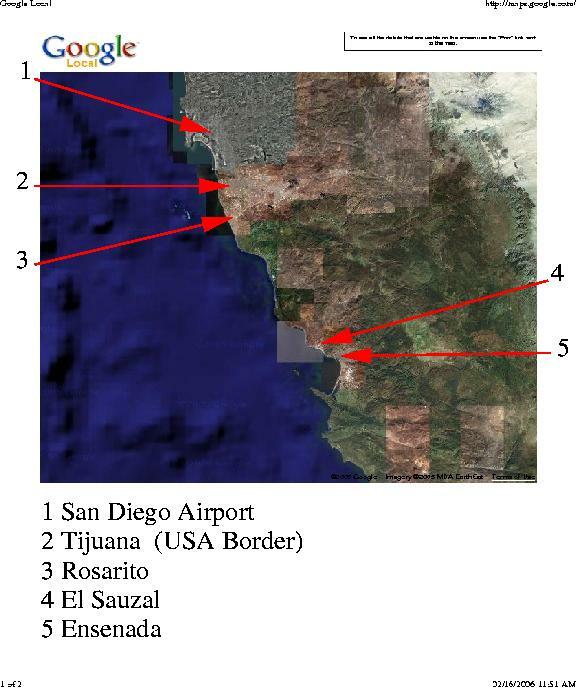 Ensenada is 60 miles south from the US/Mexican border (Tijuana), 80 miles south from downtown San Diego. You can reach Ensenada by car or bus along the spectacular scenic toll highway from Tijuana . Rental car companies at San Diego airport provide insurances for Baja. Coming from San Diego, you do not need to check at Inmigration/Custom. After crossing the border into Mexico, follow the signs for ROSARITO-ENSENADA SCENIC ROAD. The road is well marked with signs within a one mile stretch. Continue to follow the signs for ROSARITO-ENSENADA SCENIC ROAD and ENSENADA CUOTA. 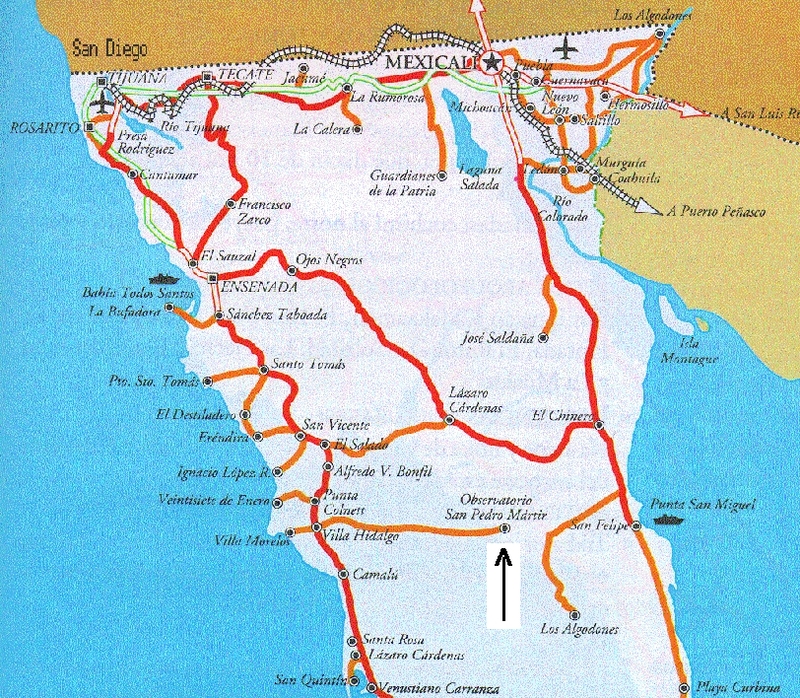 The Ensenada Cuota is a toll highway beginning at Playas de Tijuana and ending at the village or San Miguel, just north of Ensenada. There are three toll booths. You may pay in either US or Mexican currency but not a combination of the two. The tolls are about 2.40 USD (26 pesos) per toll booth. After passing the third and final toll booth continue through the village of El Sauzal. 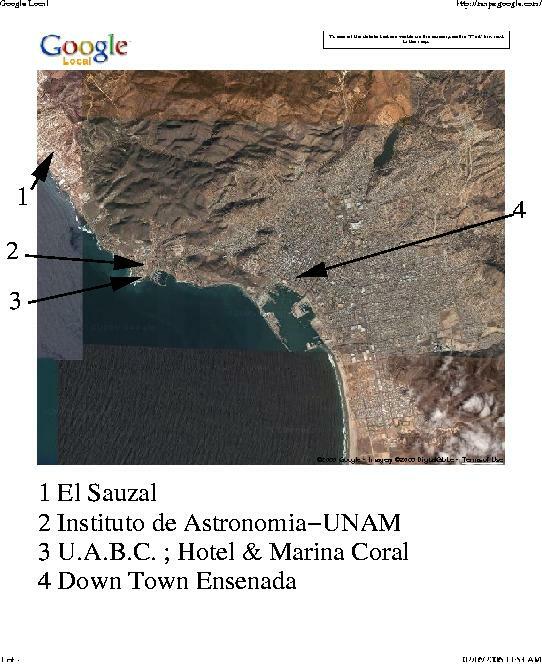 On the south side of El Sauzal, just crossing the University campus, a fork in the road indicates Ensenada Centro to the right and Ensenada Oriente/San Quintin to the left. Turn right at the fork in the direction of Ensenada Centro, always drive close to the ocean. Arriving to the harbour, at the stoplight (there is a PEMEX gas station in front) you will see the Bulevard Costero, a nice street with palm trees in the middle. Just follow this street/boulevard. You will pass a Mac Donald (on the left side), Hotel Bahia (on the left side), and after two more blocks, you will see the conference hotel Mision Santa Isabel (on the left side), just before the bridge (map here) (map1 here) (map2 here). A) Take a taxi directly to the border (around 50.00 USD). Arriving to the border, walk through the steel turnstiles at the border to enter directly into Mexico. Behind the taxi stand, to the right and next to a pharmacy you will see a small bus terminal (about 200 meters).Buses leave for Ensenada about every 30 minutes. Purchase a one-way ticket to Ensenada on the ABC (Autotransportes de Baja California) bus line. (approx. 14.00 USD). 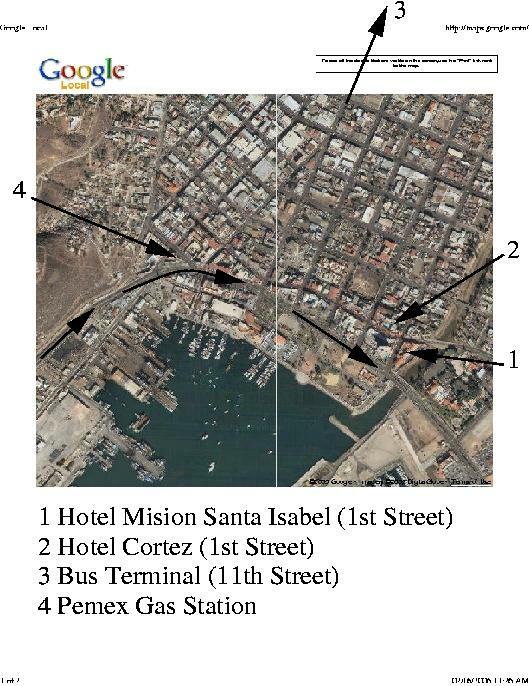 You will arrive at the main Ensenada bus terminal located at Avenida Riveroll and Calle 11 (11th St.) in about 1.5 hours. Walking out of the terminal you can hire one of the taxis located in front of the terminal to Hotel Mision Santa Isabel (approx. 4.00 USD). If you reach Tijuana International Airport, there is a regular bus service ABC (Autotransportes de Baja California) to Ensenada (approx. 14.00 USD). There is another quick option which is to go by taxi from San Diego Airport to the border (around 50.00 USD), and then by taxi from the border to Ensenada directly (around 80.00 USD). This is a good option if you share the taxi with someone else from the meeting. Check the participant e-mail list. If you reach Tijuana International Airport, also taxis can drive you directly to Ensenada for around 80.00 USD.